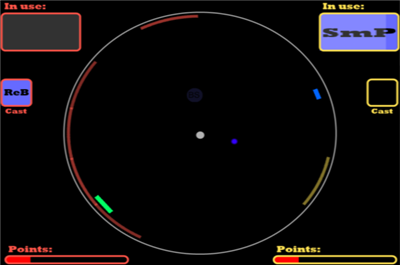 Circle Pong (4.9mb ver1.0, no install .7z) is a simple game of Pong within a circle with a few elements of another popular bat and ball game. This freeware game was made with ORX Game Engine and is for Windows only. It has 2 game modes, single player and multiplayer. To change a few more settings, open the circlepong configuration setting file, edit and save. The game plays smooth and visually it's ok, but it could do with some more eye candy. Not a bad game and for the very small download size, no one can complain, but it wasn't a keeper for me. Only the Pong fanatics will store this one away for future playing. A good solid coffee break game. There doesn't seem to be an exit key assigned for this game while in play, if there is, I haven't found it. To exit the game while still playing, press your Windows key and shut down the game from there.